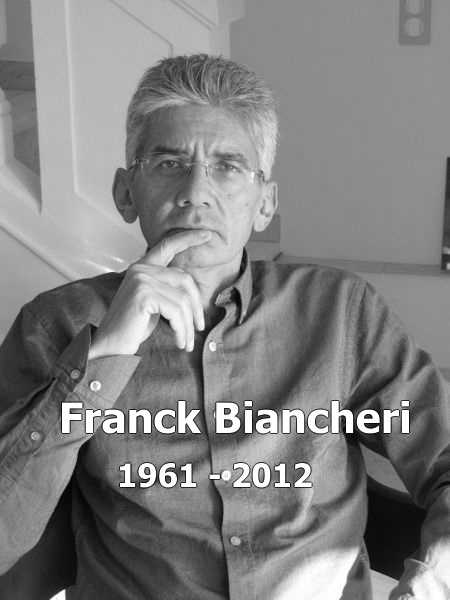 This is a small page in the history of the European democracy and of the life of Franck Biancheri. We have regularly mentioned the Prometheus-Europe Association on this website as well as during our meetings. This structure was founded in 1987 by Franck Biancheri when the first former students of AEGEE-Europe started their professional life. We have said that Franck Biancheri was a very honest person intellectually speaking, who did not plan to pursue any “career” within the AEGEE Student Forum (an association of students, dedicated to students), knowing he had already entered the professional life himself. He was not one of those “careerists” who made use of the formidable springboard that was and still is AEGEE-Europe (although, as a founder it would have been perfectly legitimate for him to do so). In order to allow the “trans-European democratisation” project initiated within the framework of AEGEE to continue its development and to give it a more political outline, to bring Eurocitizenship into reality and the role of Europe in the world of tomorrow, he launched first IDE (Initiative for a European Democracy) in 1987, which will be, until Newropeans, the first and only trans-European political party, and secondly Prometheus-Europe, one of the first independent trans-European citizen think-tanks (it is precisely this claim which will cause the disappearance of the association). Here is a presentation of this structure made by Franck Biancheri on the eve to the switchover to Euro currency, the beginning of the Euroland era for millions of citizens in Europe. This presentation could be completed by pioneers of Eurocitizenship. The end of 2001 also marked the end of the road for Prometheus-Europe. After organising over a hundred conferences and seminars in Europe and around the world, including the Newropeans 2000 Congress in Paris, the association was dissolved, leaving space for the development of other organisations like Europe2020, then LEAP2020 and GEAB. It is these especially that form an important part of Franck Biancheri’s legacy and his continued networks. The fighting will not have been less bitter and the spirit of a Prometheus-Europe will have certainly survived all that, even today. For it is the same force of commitment carried by Franck Biancheri in all his projects and in his struggle for a democratic Europe which is at the service of the citizens, and which today bears the members of the AAFB, his loyal companions, to continue his political work. The one and only trans-European association which strove, throughout Europe and since 1987, to combine an action in favour of the European construction and a fight for the democratization of the EU… This section of the website of Prometheus-Europe tells its own story… the story of its members’ struggle to open a space for a freedom of speech and analysis within the European system massively stuck in bureaucracy and clientelism: their struggles sometimes with, but more often against, entire sections of the European institutions at their highest level (Presidents, Commissioners, Secretaries General, Directors General…), the development of their network first in Europe, then on the other continents, the massive human dynamics of its members, all along these years and the initiatives that resulted from it. With the arrival of the Euro, 350 million citizens will get to know this European dimension, which the members of Prometheus-Europe discovered as students in 1987. This was just two years after they had founded and developed AEGEE-Europe, the first great historical student network to be integrated at a European level, and after they had contributed significantly to the political adoption of ERASMUS, the first great European citizen programme. Since 1987, the fight of Prometheus-Europe to convince the Euro-leaders and civil-servants in charge of the EU that there was no future for the European construction outside the three principles advocated by Prometheus-Europe from 1990 on – Democratisation, Efficiency and Transparency -, was mostly a violent and difficult fight against a wall of misunderstanding, feelings of impunity, despise towards the average citizen and the populations in general. To make a long story short, a struggle against a system more and more bureaucratic, further and further away from the citizens, more and more withdrawn into its illusions and a complete disinterest for democratic principles. On January 1st, 2002, it is not a unique monetary space that opens in ‘Euroland’: it is a common political space. We believe at this stage, that the main contribution Prometheus-Europe can bring to the causes of EU democratisation, transparency and efficiency, is to tell its story, simply but clearly. After the success of the Newropeans 2000 congress in October 2000 (organized by Prometheus-Europe), and on the occasion of the growing success of EU-StudentVote (of which Prometheus-Europe is an active partner), this perspective appears necessary in order to enrich the new corpus of Euro-citizenship… which is not such an easy issue, as the soothing speeches of institutions are trying to suggest. 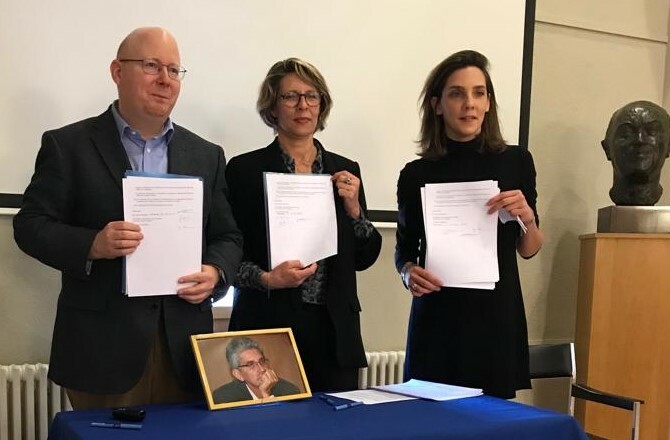 For those who will find this document interesting, we need to point out that there never was anything like Prometheus-Europe in the history of EU NGOs: pro-European, spread all over the EU and the world, made up of and by the younger-generations (20-40), firmly opposed to any compromise regarding democracy and freedom of opinion. The time period starting now provides the opportunity to show that, contrary to what the baby-boom generation thinks in particular: the post-1960 generation has not been inactive until now, but has been engaged in a real political struggle, outside the scope of the media (completely focused as they were on the baby-boom generation), but using the new tools available -the networks, the Internet-, the new geographical dimensions available -Europe, trans-nationality, the new available forms of civic involvement -volunteering, a-partisanism-, all of them implemented by younger people aged between 20 and 35, of whom more than 60% are women. This is a true story lived by thousands of Europeans, and shared with partners from Latin America, the Arab world, Asia and North America who organized with Prometheus-Europe hundreds of seminars and congresses. While hoping that this young Euro-citizen tale will contribute to promoting your civic sense as a Euro-citizen, just a few weeks before the arrival of the European currency in your Euro-consumer pocket. Have a good switch to Euro … citizenship! All the best. Next: The different Eurozone Parliament projects : still nothing concerning Transeuropean democracy !